Xclusive Autoworks offers custom vinyl wraps, custom vinyl accents and color shifting full vehicle wraps. Proudly offering our expert and exclusive vinyl wrapping services in the Long Island, New York region. If you’re looking to add something unique to the finish of your vehicle, give us a call! We offer in house consultation and design services for every situation. See below for some examples of our vinyl work including color shift, color change, custom black roofs and accents. One popular option for the new generation of Dodge Challenger and Dodge Charger is their black out package. This package offers the options of a black hood, roof, or trunks. The issue we see here is that this custom paint is very delicate and at risk of severe damage. By wrapping the hood, trunk, or roof in black vinyl, we can provide a barrier against damage and still have the same custom look. See below for some examples of black out panels and black roofs on a Hellcat. This option is available for practically all makes and models. 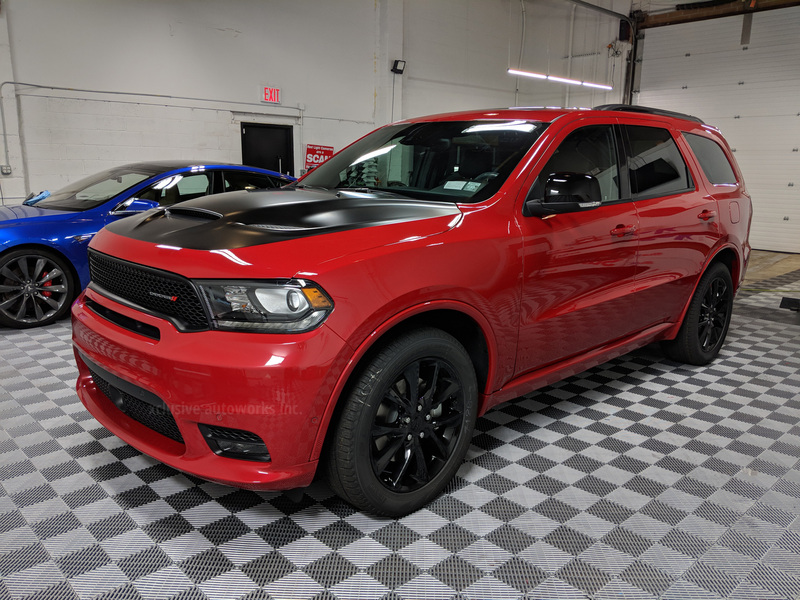 Hood and roof wraps add a custom and unique look without the long term commitment of paint.